Discovery Vitality has launched a new partnership with Huawei in which Vitality members can get up to 100% cash back on a Huawei Band 2 Pro fitness device from Sportsmans Warehouse. For one weekend only – 30 to 31 March 2019 – all Vitality members (with the HealthyFood benefit) will get up to 50% cash back on HealthyFood items at Woolworths stores nationwide. Discovery Bank enters a new phase of a carefully managed and gradual process of on-boarding existing Discovery Card clients to the full-service banking platform, marking the start of Discovery Bank operations to the public. A comprehensive study on retail bank fees conducted by the behavioural bank presents the real cost of banking to the consumer, taking into account their banking behaviour. 21 February 2019 – Discovery today presented its half-year results for the period ended 31 December 2018; representing a period of exceptional growth, with a temporary decline in profits due to considerable investment in new initiatives, and volatility in large claims in Discovery Life, unique to this reporting period. Discovery’s SEE ME campaign, launching in February in the Alexandra township in Johannesburg, aims to help educate children and teachers on road safety and keep kids safe on the roads during their walk to school with reflective gear. Chairperson and independent non-executive Director, Mr. Hilkowitz, has informed the Board that he has decided to retire, effective 28 February 2019. Discovery is very grateful to Mr Hilkowitz for his invaluable contribution to the Group throughout the last 16 years of exceptional growth. Get your sweat bands and spandex ready, because entries to the 2019 Discovery Retro Run, powered by KFM, are now open. Scheduled to take place on Saturday, 9 February 2019, the Discovery Retro Run will welcome thousands of participants to the Sea Point Promenade for a groovy 5 km or 8 km sunset run that will finish at the iconic Cape Town Stadium. 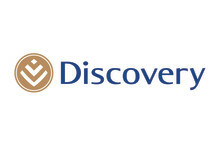 14 November 2018 – Johannesburg – Financial services company, Discovery, today announced details of its new banking offering. Described as the world’s first behavioural bank, the fully digital bank leverages Discovery’s Shared-Value model, and can be joined from March 2019 by anyone with a smart phone. President Bill Clinton and former First Lady, U.S. Senator, Secretary of State and presidential candidate, Hillary Rodham Clinton were the keynote speakers at the 9th Discovery Leadership Summit held at the Sandton Convention Centre. President Cyril Ramaphosa has proclaimed the end of what he characterised as a nine-year impasse between the government and private sector, and praising Discovery Chief Executive Adrian Gore for his visionary leadership and good corporate citizenship. He was speaking today at the Discovery Leadership Summit held at the Sandton Convention Centre in Johannesburg. Taking the stage at the Discovery Leadership Summit, David Cameron, the former Prime Minister of the United Kingdom, paid respects to the leadership style of former President, Nelson Mandela. “He was a man with a generous spirit and a total lack of malice. He was a great man with a great heart, and we need more of that today,” says Cameron, the youngest Prime Minister the UK has ever had. Can behavioural science give us all a better day? How can we shift our perception to create a better reality? Caroline Webb, renowned leadership coach and economist, shared critical views on getting the most out of the human brain to have a better, more productive day, every day. Webb was one of the speakers at the 2018 Discovery Leadership Summit, held on Thursday in Sandton, Johannesburg. ​Innovation usually has the aim to disrupt markets and industries. When thinking of innovation, it may not always be a completely new product or service. There are various types of innovation, and each of them has a very specific purpose and effect. Market-creating innovation probably has the greatest potential to disrupt markets and grow the economy. Olympic Gold medalist, Commonwealth Games champion, and Discovery Vitality Ambassador, Caster Semenya, talks about women taking their place in sport – and in life – at the Discovery Leadership Summit 2018 in Sandton today.